Trongsa is mostly visited for its historical importance and its magnificently built Dzong. It was from here that the attempts to consolidate and unify the country started. This town also houses the first monastery which was built in 1543. The Trongsa Dzong is often considered as the most beautiful one in the country. Trongsa Dzong stands tall on a hill, bearing the history of nearly 4 centuries and provides a commanding view of the mountains and the town, which appears so smallish before the giant Dzong. 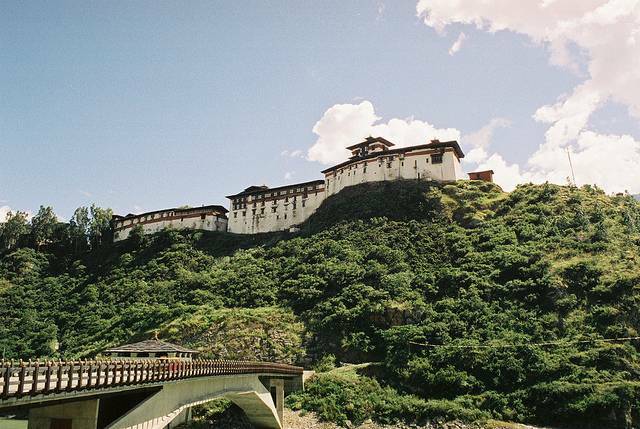 Built in 1648, it was the focal point of power and the first two kings of Bhutan ruled the country from this place. Even now, the prince serves as Trongsa Penlop before taking to the throne. There is Chorten Lhakhang in the southern most part of this Dzong and a five-day Trongsa Tsechu is organised in the northern courtyard. The second attraction of the town is the Museum called Ta Dzong or The Tower of Trongsa Museum which was built by Chogyal Minjur Tempa. It stores many traditional as well as modern artefacts, sacred items, bronze statue of Pema Lingpa made by himself, paintings and ancient books. Kuenga Rabten is 23 kilometres from Trongsa and the journey is intriguing because of the lovely scenery and the countryside. It was once the winter palace of the king, now made into a library. You will find marvellous decorations and wood work, statues of Shakyamuni, Shabdrung, and Guru Rinpoche. Semji village, located at a distance of 7 kilometres, should be visited mainly for two reasons, it is an ideal place for bird watching and second, for hiking. Hiking through the dense forest amidst the vibrant birds will make this trip to Trongsa an unforgettable one.